The CGIAR Genebank Platform is a partnership of the 11 CGIAR genebanks and the Crop Trust. The Platform secures the long-term conservation of plant genetic resources, which are essential elements of agricultural research and development. The CGIAR Genebank Platform is implemented by the genebanks and associated germplasm health units. Day-to-day oversight is supported by formal Governance and Management structures. 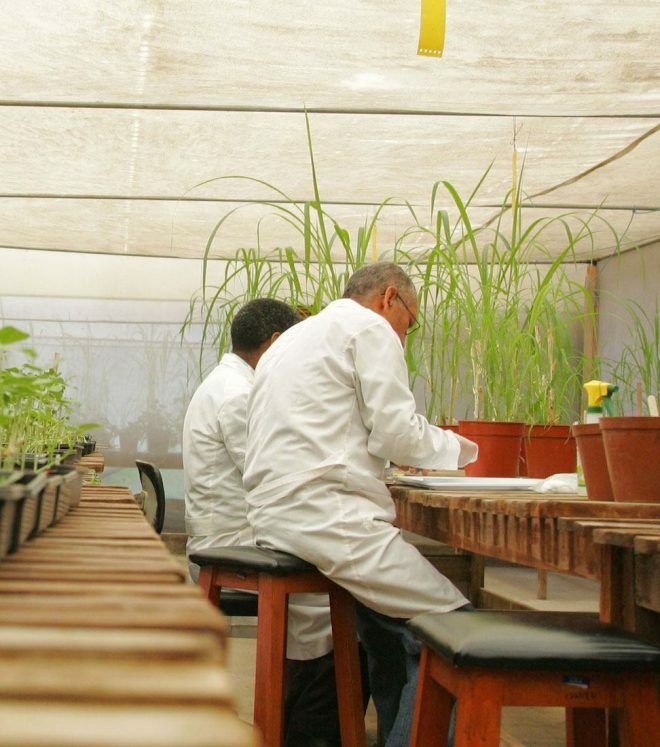 CGIAR genebanks hold one of the world’s largest and most used collections of crop diversity. International agreements, in particular the International Treaty on Plant Genetic Resources for Food and Agriculture, ensure that more than 750,000 individual samples are currently held in trust for the good of humanity now and in the future. The Platform genebanks are a core component of the global system on plant genetic resources for food and agriculture (PGRFA), which aims to make the conservation and use of PGRFA rational, efficient and sustainable at a global level. The primary objective of the Platform is to securely conserve all the crop diversity in the genebanks. Conservation for its own sake, however, is not enough. The point of conservation is to make sure that plant breeders and farmers can make use of the conserved crop diversity to meet the challenges being thrown at agriculture. Conservation and use both require a supportive policy environment, which is why the platform is also active in national, regional and international policy efforts. We anticipate that two groups will benefit directly from the Genebank Platform: primary users, such as plant breeders, within and outside CGIAR, and other institutions that make use of PGRFA and that may be part of the global system. The genebanks manage their collections as seed, as whole living plants and tissue cultures, sometimes deep frozen in cryopreservation, and as DNA samples. The routine work of genebanks is to secure the conservation of their collections, ensuring that the material is healthy, viable, free of pests and pathogens and available for distribution. Priorities for conservation have been established in a series of individual global crop conservation strategies developed by the community of genebanks and researchers interested in the crop. CGIAR genebanks aim to address the priorities identified in these strategies. A Quality Management System (QMS) helps all CGIAR genebanks to improve their operations and, hence, the conservation of their collections. Research on seed quality management and cryopreservation improves conservation methods. Gap analysis and collecting improve collection coverage. Plant breeders and farmers need to be able to access genebank material to help them adapt agriculture to future challenges. The use of collections is, however, a two-way street. Breeders and farmers need to know what genebanks hold, and genebanks need to be able to fulfill requests for their material. Close links with the CGIAR Excellence in Breeding Platform ensure that effective use is made of genebank material. This is recognised by the presence of genebank managers on the advisory board of the Excellence in Breeding Platform. A crucial need that will serve genebanks and genebank users will be to make information about accessions more widely available and easier to search. The CGIAR genebanks are at the forefront of efforts to link genotypic data derived from DNA sequencing with the phenotypic data produced, for example, during sample regeneration and evaluation. These efforts are amplified through close collaboration with the CGIAR Platform on Big Data. Genebanks and genebank users increasingly have to concern themselves with issues of intellectual property, access and benefit sharing and biosafety. All of these are enshrined in a series of national and international laws, and there is some evidence that the range and complexity of policy instruments may put a brake on agricultural innovation. CGIAR genebanks are expected to fully comply with existing regulation, and would also like to see obstacles to the use of genetic resources reduced or removed. Having played a central role in the development of elements of the existing policy framework, it will be vital to keep engaged as the processes continue to develop. The Platform enables the genebanks to continue to contribute to policy developments with the authority and expertise that the global system has come to appreciate.